MULTIPLE OFFER SITUATION. NEED BUYER'S HIGHEST AND BEST OFFER BY 5 PM 1/25/2019.Donât miss this opportunity! 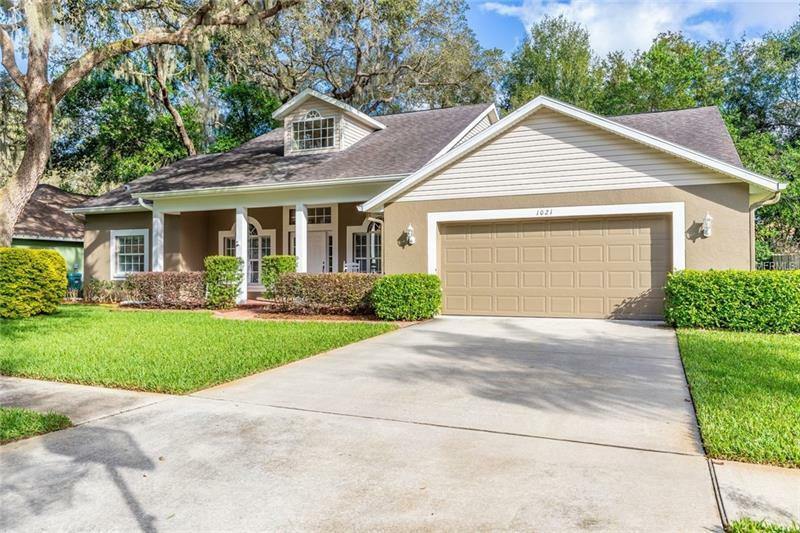 One of a kind 4/2 plus bonus room semi-custom home located in the heart of Valrico. Twenty-seven home peaceful community with beautiful mature oak trees, close to shopping, and excellent schools. Home features include country-style front porch with brick pavers, beautifully designed brick accent walls, upgraded kitchen with granite counter tops and copper sink, updated bathrooms with granite and frameless showers, crown molding, wood/tile flooring throughout, coffered/tray ceilings, fresh exterior paint, enclosed lanai with built-in grill, HVAC replaced 2013, water heater replaced 2017. Tax records incorrectly depict home as a 3/2 however original house plans show home as a 4/2. Schedule your showing today. You will not be disappointed! Pet Restrictions: Please contact HOA regarding deed and pet restrictions.